They say if you want something done, then ask a busy person. Courtney Rouhier Varney is a busy person. A very busy person; she’s a full-time equine veterinarian, a mom to a 4-month-old baby and a Grand Prix dressage rider on an Arabian horse she broke and brought through the levels herself. Varney said she’s lucky enough to have a nanny to help with baby Hudson and to be able to keep her horses at home. So she sees the baby when she gets home and can usually sneak in 45 minutes of riding before dark. After the barn, she says, “It’s back to being a mom the rest of the night,” and spending time with husband and horse property broker Matt Varney. This time of year in particular is quite busy for Varney. While Ocala Equine, located in the heart of Florida’s Thoroughbred country, sees a lot of Thoroughbreds, her own clientele is about 80 percent show horse and 20 percent Thoroughbreds, and she’s a Fédération Equestre Internationale treating vet. The HITS Ocala Winter Circuit runs January through the end of March, overlapping neatly with Thoroughbred breeding and foaling season. “Ocala is one of the biggest horse cities in the country, for sure, and that’s reflected, everywhere we go—all my friends are trainers; eventing, driving, endurance,” she said. Unlike Orlando where she grew up, no one looks at you like you’re strange if you go to the grocery store in breeches in Ocala. Teamwork also applies to her horses. 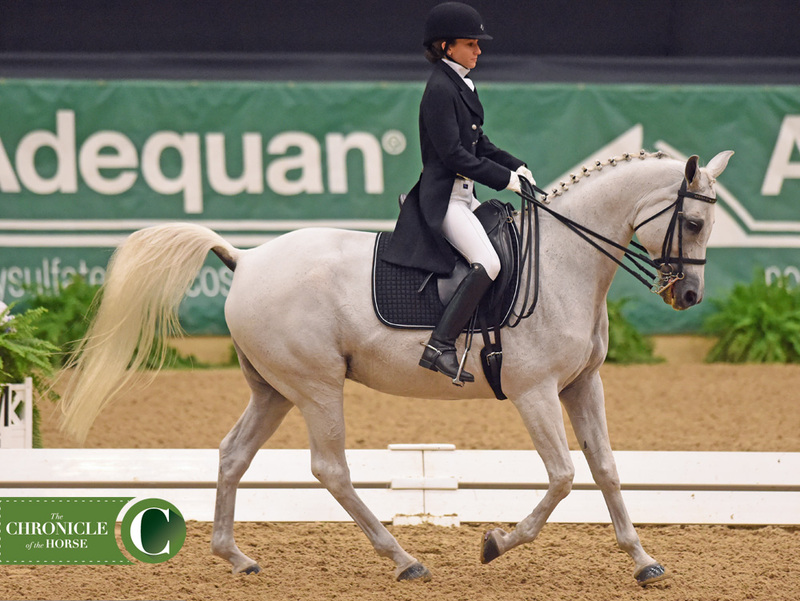 Her 17-year-old Arabian mare Edykt’s Enchantres (Edykt—Mieta Pasb), or “Tess,” has been with her from the start, and the two made the journey to Grand Prix together. “I broke her when she was 2 1/2,” she said. Varney was 21 years old, going to college at Stetson University (Fla.) and breaking horses in exchange for horse board. “I liked her so much I bought her for the crazy cheap price of $500,” she said. She explained that she bargained for the price and worked off the board for the year. Breeder Dr. James Quinn at Black Water Ranch just wanted to make sure she had a good home. Varney, 34, has her U.S. Dressage Federation bronze, silver and gold medals and competes at the FEI level. 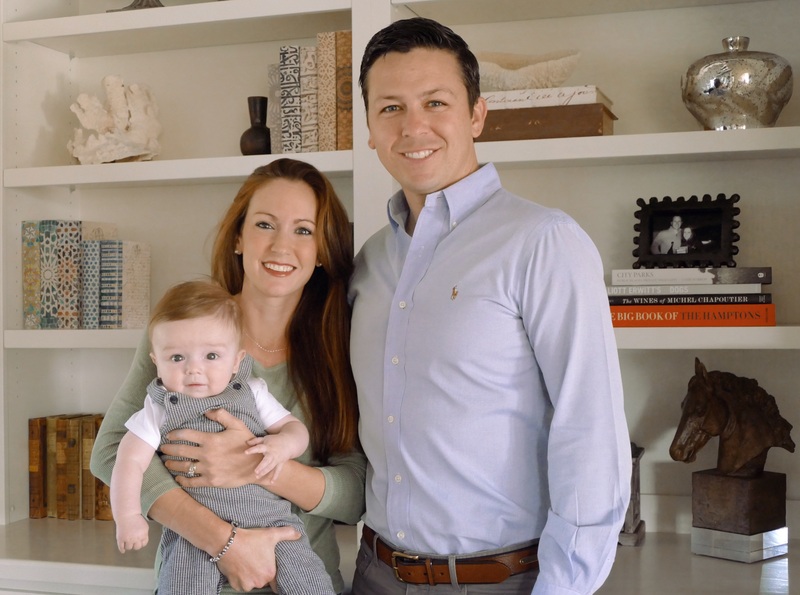 She accomplished this while getting her bachelors degree at Stetson in 2005 and then her veterinary degree at the University of Florida in 2010, followed by getting married and having a baby. Varney and Tess were reserve champions in the Region 3 in the adult amateur Grand Prix championship and third in the Region 3 Grand Prix freestyle championship in 2015, with the help of trainer Bill Woods. “I’ve gone past any goal I could imagine,” Varney said. At the 2015 U.S. Dressage Finals (Ky.) the pair took home a fourth in the adult amateur Grand Prix freestyle championship. With Tess now 17, Varney is bringing along her second horse, Zinderella, a 6-year-old Swedish warmblood mare (Zuidenwind—Dancing Queen), currently competing at second level. 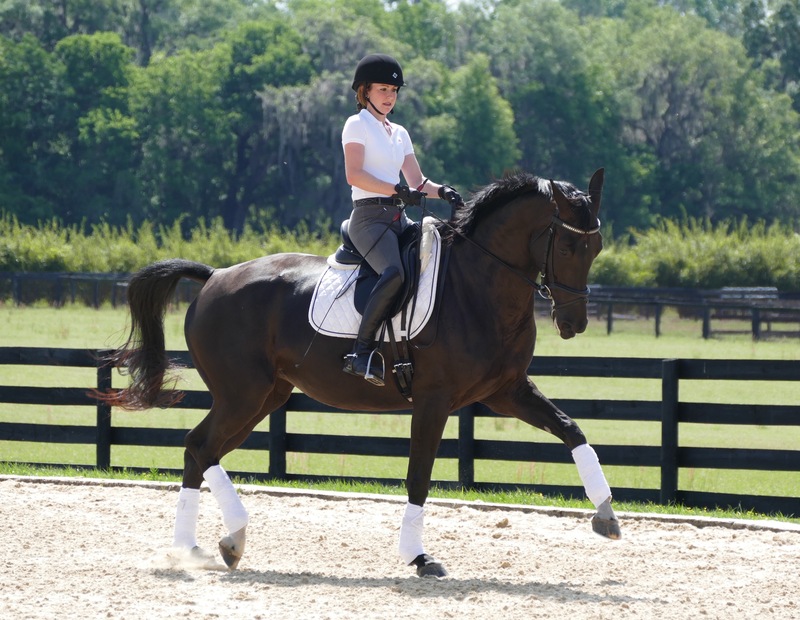 Varney bought Zinderella as a 3-year-old with 60 days under saddle, importing her with the help of Ocala-based dressage trainer Chrissa Hoffmann. “Like a total crazy person I bought her off a video—but though trusted sources!” Varney laughed. Balancing the fast-paced life of an equine vet with being a mom and an upper-level competitor isn’t always easy. “The hardest part is you always feel like you are not doing a good enough job—you want to be there all day with your child, want more time with the horse, to be a better rider or have more time with clients and be a better vet. The fact I have each one means I’m always striving to be better at each one,” she said. “I function better going crazy—I’m more organized when we’re pressed,” she said of her job. The freestyle ride, she said, was “exhilarating,” and her goal is to shoot for the 2017 U.S. Dressage Finals in the fall.